„Here in Rue Royale, in the heart of Brussels, this is where I’ve felt at home since I was 10, where I sniffed the scent of cigars, and watched my parents at work,” says Philippe Vanderbruggen who’s posing with a noble Ashton under a portrait of the Belgian royal couple for this anniversary photo. 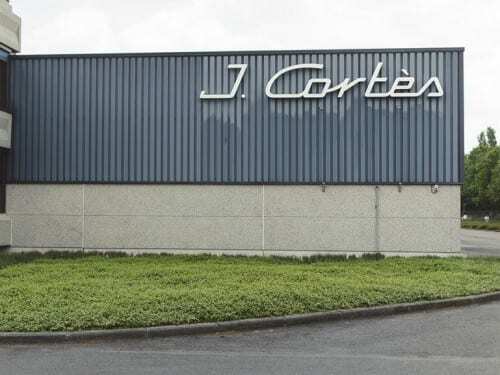 The likeable and down-to-earth monsieur before me, a bedrock in Belgium’s bustling tobacco scene, is celebrating the 80th birthday of the traditional company Le Roi du Cigare, which his family took over in 1980. Another quick click of the camera, and I ask where the royal title in the company’s name comes from. With a mischievous smile the Brussels cigar king says that his specialist store, founded in the year 1948, is older than all the European institutions that today have challenged his branch with strangulating regulations. 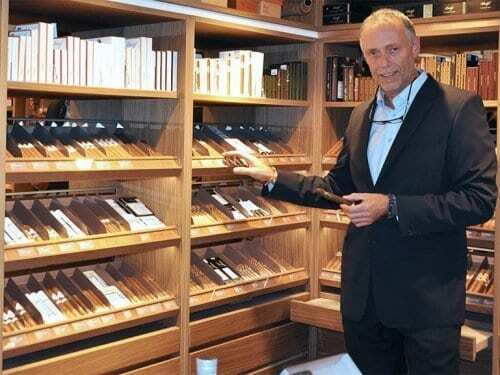 Welcome to the tobaccophile Trutzburg of Monsieur Vanderbruggen! From a positive point of view, the rigorous smoking bans have led to the blossoming of private initiatives in the small Benelux state. This is evidenced in the wide range of events at local tobacco shops. “In Brussels alone there are eight clubs for passionados,” the cigar king informs me about the exclusive smoking scene in cosmopolitan Brussels. In doing further research, I find out that there are hypocritical cigar smokers among the EU officials feared as regulators who use chauffeurs to discreetly procure longfillers. From Rue Royale, its a 10-minute walk to the Davidoff Boutique. In the hustle and bustle of Brussels’ everyday, store manager Dirk Vermeiren promotes slowing down through the enjoyment of cigars. “My customers appreciate our elegant lounge as their personal source of rest, and often enjoy my cigar recommendations on site.” Vermeiren has been working in the industry for 30 years, and is highly respected as an expert. To get to the Casa del Habano high above Brussels, it’s best to take a taxi. I am welcomed by Ali Mezher and Michael Schayer of the owner trio. There are two cigar lounges in classic British style, and a smoking terrace. The salon on the top floor is reserved for members. Ali Mezher presents himself as a philosopher and a sophisticated dandy. It’s a pleasure to discuss with him the ceremony surrounding smoking and lighting a cigar while smoking an H. Upmann LCDH Royal Robusto. “We also sell a lighter by Alec Bradley,” a daring venture beyond the Habanos cosmos. Two thousand clients are on the list of the Casa, which also organizes events at spectacular locations. My Brussels guide, Sascha Seggai, takes me to one of the most splendid shopping malls in Europe from the 19th century. Of course, we first head to the fine Champagne boutique L’aube sur Aÿ. The owner and pleasure smoker, Arnaud Willems, carries 120 types of the bubbly. There’s also oysters, caviar, and luxury chocolate. If you like, you can enjoy a fine smoke outside on the terrace. We walk on to the Passage du Nord, where a Davidoff shop is nestled within a historical atmosphere. You shouldn’t miss out on a fine smoke on the huge metropolitan terrace of the restaurant Vincent and the magnificent Hotel Metropole. In the lobby of the Metropole, there’s a conference photo from 1911, showing Albert Einstein smoking. “Back then, the culture of cigar smoking was taught at higher Belgian schools. That’s what my grandfather, a cigar enthusiast, told me,” Seggai tells me. The specialty shop La Tête d’Or on glorious Grote Markt is also a witness to the once golden era of tobacco. The splendor of 30,000 leaves of gold shines here from newly renovated facades on the most beautifully located cigar shop of Brussels. You can get to Ghent from Brussels quickly by train. The Flemish city seduces with its historical stately buildings. Earlier on, it was on a par with Paris as Europe’s most important trade city. Ghent is best discovered via its canals. Here, rent out a boat to enjoy your favorite cigar while traveling on water. 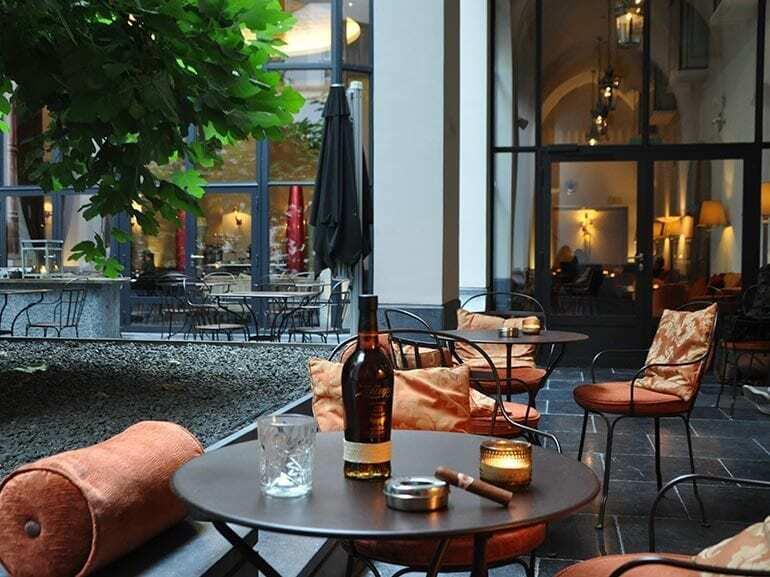 When visiting the Casa del Habano on Limburgstraat, make sure you plan enough time. 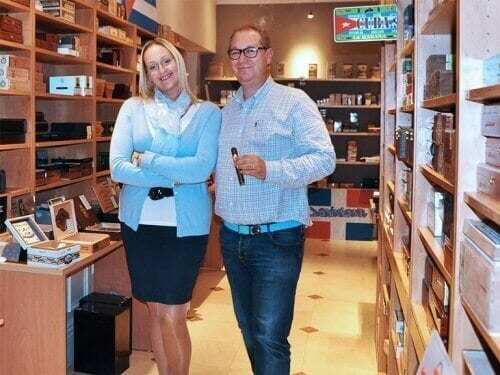 The owner, Dominique Gyselinck, not only has an exceptional selection of fine Cuban cigars. The successful business woman also has a comfortable, exclusive, self-designed cigar lounge. 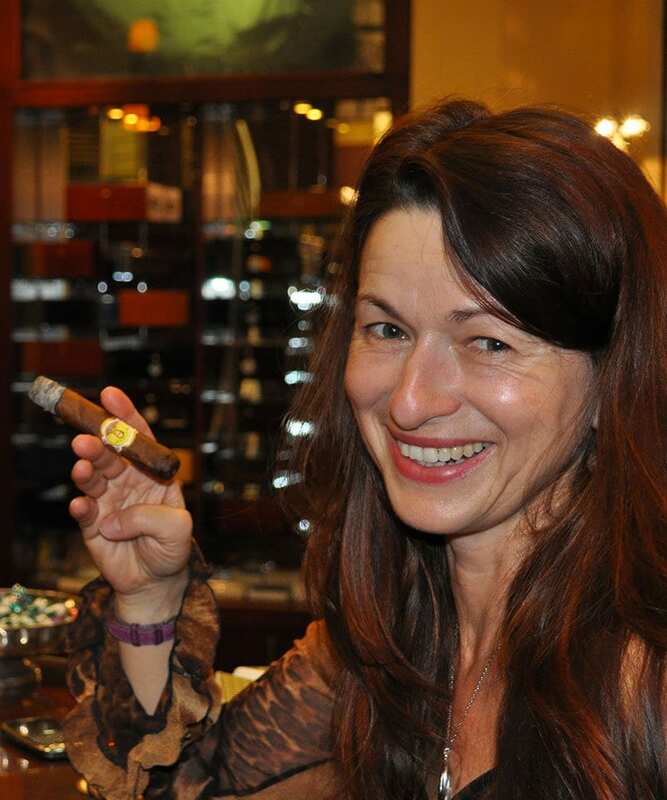 Belgium’s “Queen of Cigars” manages two Casas del Habano (in Knokke and Ghent), as well as several specialist stores based on the new La Casa del Tabaco concept, in Hasselt, Bruges, and Kortrijk. There you’ll find an exclusive selection of premium cigars of the most popular top tobacco-growing regions. 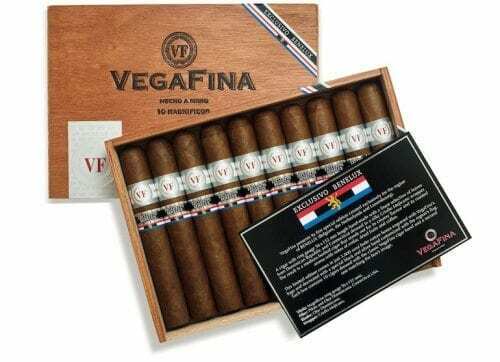 For her accomplishments in everything to do with cigar culture the Belgian, who is always on the go, has collected several important industry prizes. 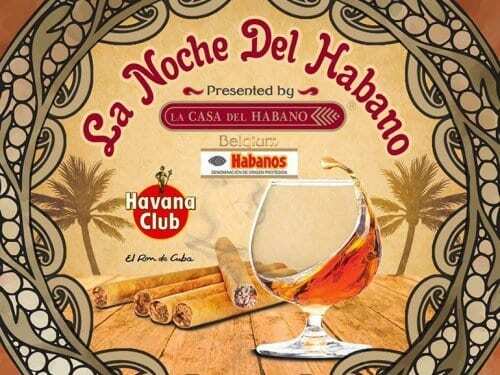 At the Festival del Habano 2016 she was bestowed with the title Hombre del Habano in the business category. As part of the InterTabac at the Golden Band Awards 2017, Gyselinck was awarded the Best Davidoff Performance for her La Casa del Tabaco in Bruges.